Last month saw the passing of the Education and Adoption Bill and as some commentators have said this is a dark day for education. 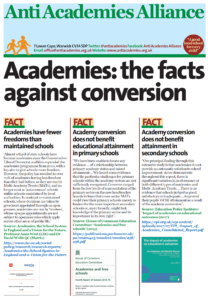 There is at present no convincing evidence of the impact of academy status on attainment in primary schools. Local authorities in new academy thrust? It is widely believed that the government plan to bring forward a white paper that will force all schools to become academies. 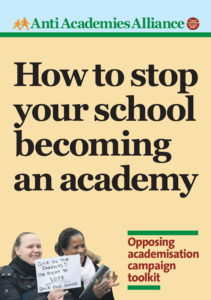 Posted in Featured, News, Top story	| Comments Off on Local authorities in new academy thrust? 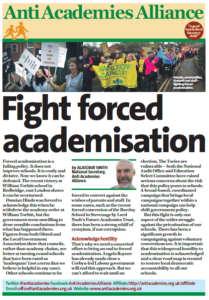 Please sign this important petition to stop academisation at Small Heath school and calling for an end to the victimisation of the NUT rep, Simon o’Hara who has been suspended after leading strike action. GERM is the name given to the global attack on our education systems. This attack is highly contagious and is spreading rapidly. It is an acronym created by the renowned Finnish Professor of Education, Dr Pasi Sahlberg and it stands for Global Education reform Movement. We are fighting GERM warfare. David Cameron is set to announce the expansion of the free School program with proposals for a further 153 free schools. This article brings together some of the recent examples of free school problems.